Second release from M=Minimal Records is an unearthed gem previously only available in Brazil, following the label's issue of a privately pressed Conrad Schnitzler wonder. It's quite fair to say that in 1984 there weren't many albums that sounded like Chico Mello's 'Água' in the field of minimal music. 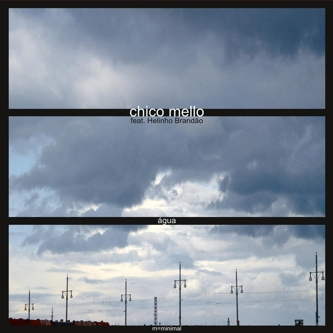 It combines elements of Chico's Brazilian heritage with rooted minimalist principles gleaned from his time studying in Berlin under Dieter Schnebel and W. Szalonek, and is described by the label as an imaginary meeting between Caetano Veloso and Jim O'Rourke. The titular opener gives a dramatic, almost theatrical introduction, arranging choral vocals with elements of musique concrete, strings and children singing, reminding of the work of Robert Ashley. From here the Brazilian element begins to seep through in the meditative drumming, gradually entwined with clarinet and florid yet restrained guitar motifs of 'Baiando'. The fifteen minutes of 'Matraca' make the central ear-opener, a revelatory piece of synthesizer drone and strings with a spacious, tropical capacity, while 'the brief 'Danca' brings us to a brilliantly dramatic conclusion. Highly Recommended.